An appointment will be scheduled for parents to bring their newborns in for a first checkup in one to three days after leaving the hospital. The pediatrician, with support of Registered Nurses and Lactation Consultants will make sure the transition to home is a healthy one. All Level II* graduates will have their first visits through the First Days Clinic, allowing parents the reassurance that their Level II NICU graduate transitions well. Looking for a doctor? Our experts are here to help you find a physician. 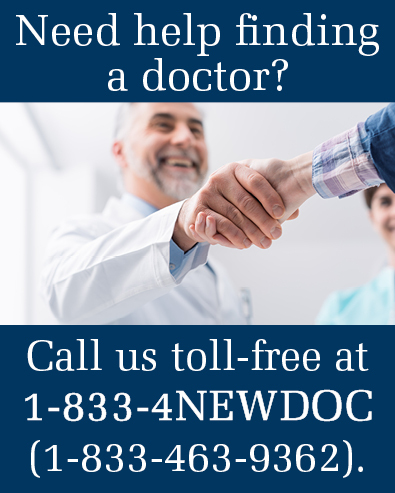 Call us toll-free at 1-833-4NEWDOC (1-833-463-9362).